@DK: It wasn’t a rant against Phulki. This post is part of my series on GUI bloopers and the case with phulki was an example of a site going down posting a misleading message, and reincarnating itself in a different avatar without giving a clue to the user who is waiting patiently for it to come back. 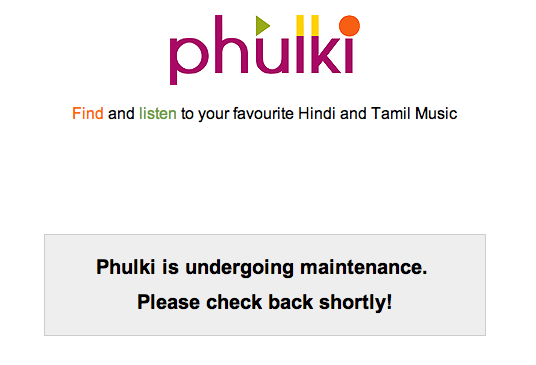 The site should have told me to go to saavn.com instead of telling me that it will be back in a short while (the phulki site has been updated now, btw).